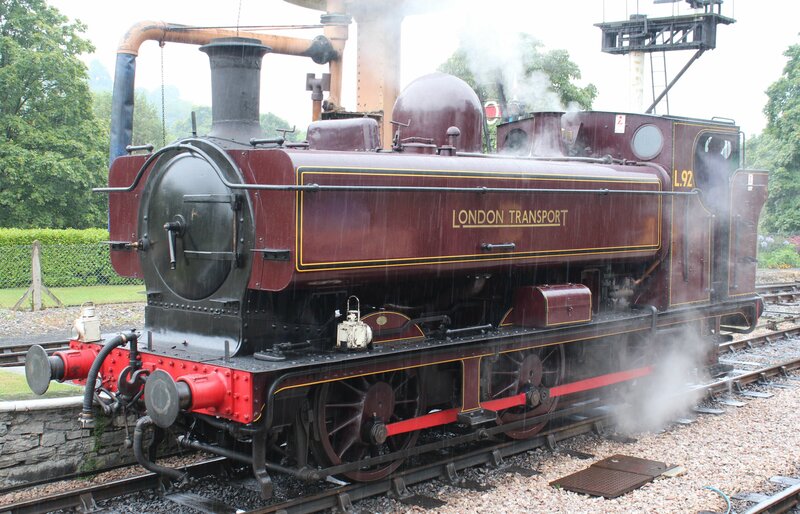 From the 3rd to 16th August 2015, the Kent and East Sussex Railway will become home to the South Devon Railway’s London Transport liveried pannier tank engine L.92. This will be the first time a London Transport liveried locomotive has worked on the rural light railway and will therefore no doubt attract many visitors! To read more about this locomotive please click here to read an article published last year. The 57xx pannier tank will relieve the strain on the home fleet. Due to the timings of overhauls there is currently a shortage of the railway’s more powerful steam locomotives available for service. For more information check out the blog (saturdaygang.blogspot.co.uk) or follow the loco working group on twitter (here.) If you would like to help the line, volunteering information can be found on the K&ESR website here. In other news from the Kent and East Sussex Railway, in June the railway purchased its third Pullman carriage (Aries.) The carriage is no stranger to Kent, being a former carriage of the Golden Arrow express. The luxury carriage also had the honour of being used by the Queen and some other members of the Royal family to transport them to Farnborough Airshow in 1953 and no doubt this Royal connection will be very useful for marketing purposes! 09/07/2015 in Kent & East Sussex Railway, News - Preserved Railway.